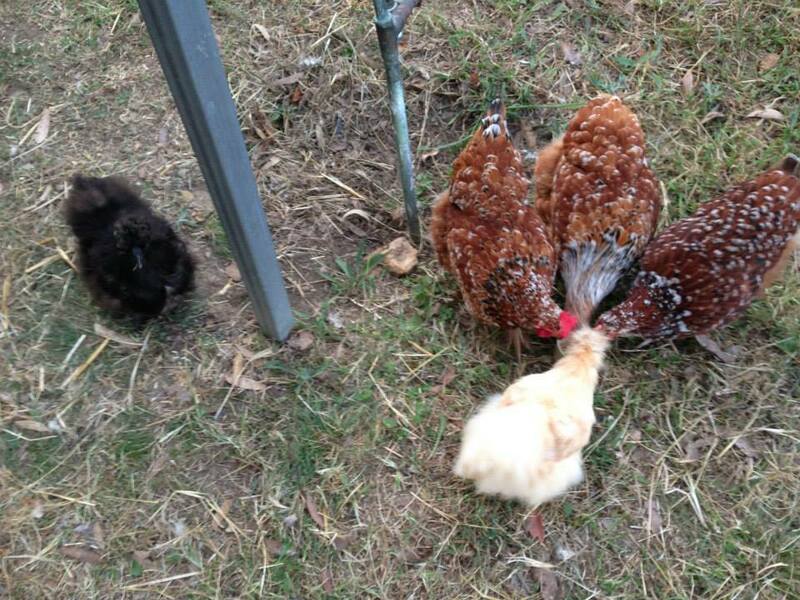 Hildegarde von Joyfallee is putting her skills learnt while practising to be a chicken spy to good use. She often manages to remain unobserved by her friends to scoff up the random pile of oats that descends on occasion from the heavens, thus avoiding the melee over the more obvious oats in a cup (a tussle from which she inevitably emerges the loser). To assist in her task she whispers a mantra that she is rather proud to have invented, lending heavily on ideas she picked up while reading about Arya in The Game of Thrones: “Black as a shadow, still as a salad sandwich, quiet as a feather duster”. Her invisibility-cloak-like ability doesn’t always stand her in good stead, however, and oftentimes sees her being trampled in a rush of chicken feet when the oat cup is emptied and the oat pile discovered.